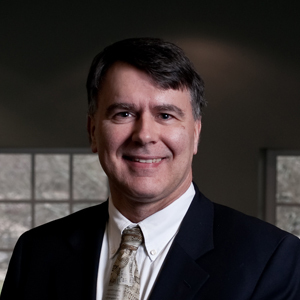 Today’s interview is with Andreas Köstenberger, Professor of New Testament and Biblical Theology and Director of PhD Studies at Southeastern Baptist Theological Seminary. He is the Founder and President of Biblical Foundations™ (www.biblicalfoundations.org), an organization devoted to encouraging a return to the biblical foundations in the home, the church, and society. Dr. Köstenberger also serves as editor of the Journal of the Evangelical Theological Society (read more here). His education: MDiv (Cross-Cultural/New Testament/Counseling), Columbia Biblical Seminary, 1985–88; Ph. D. (New Testament/Biblical Studies), Trinity Evangelical Divinity School, 1990–93; Mag. et Dr. rer. soc. oec. (Masters and Doctorate in Social and Economic Sciences), Vienna University of Economics, 1976–82. I first became familiar with Köstenberger’s work when studying the Fourth Gospel during my Masters program. Since that time I have benefited from not only his work in John, but from work he’s done in other areas as well, including scholarship itself in his recent book entitled Excellence (I mention it briefly here). Thanks to Andreas for kindly answering some questions! Being involved in the local church has become increasingly important to me. Teaching a group of people of various ages and backgrounds at my church keeps pushing me to present the teachings of Scripture in a way that is relevant and understandable. This past Sunday, for example, I was teaching a class on Luke 11–15, and tried to help people get a better grip on what the “kingdom of God” is. Getting down to earth and contextualizing theology to people of various ages, levels of biblical literacy, and spiritual maturity is an exercise I cherish very deeply and find invigorating in my scholarship. I discovered a calling to scholarship in part through a series of circumstances that led me to apply to a teaching fellowship after receiving my Master of Divinity degree. Positive feedback from fellow students and some of my professors was an important part of my discovery as well that scholarship might be where the Lord was leading me. I sense a calling to help people to study God’s word, if possible in the original languages and following proper principles of interpretation. I also sense a calling to refute theological error and to expose it so others are not deceived. This led Mike Kruger and I to write our book The Heresy of Orthodoxy, for example. This will be always be a challenge, but I think those of us who are scholars need to try to care and listen for the questions people are asking, address them clearly and straightforwardly, and do so in a way that people can understand. I talk about some of this in my book on academic excellence, so anyone wanting to get a longer answer to your question might find some further thoughts there.